Our free heart screenings for youth age 12 to 25 are only offered six times a year. If you need a heart screening in the meantime and you cannot obtain one from your family doctor or you do not have access to medical care, you may consider contacting one of the organizations listed here. 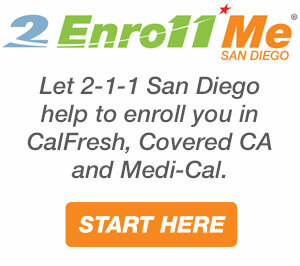 2-1-1 San Diego is a resource and information hub that connects people with community, health and disaster services through a free, 24/7 stigma-free confidential phone service and searchable online database. 2-1-1 serves the entire population of San Diego County. By dialing 2-1-1 or clicking the link below, clients are linked to a live highly-trained Client Service Representatives (CSR) who will navigate them through their situations by assessing their needs and then matching them to the best and closest resource in their community.